BEST-PRICED HOME (WITH A MAGNIFICENT PRIVATE POOL) IN THE NEIGHBORHOOD!!! Ready to move in now. 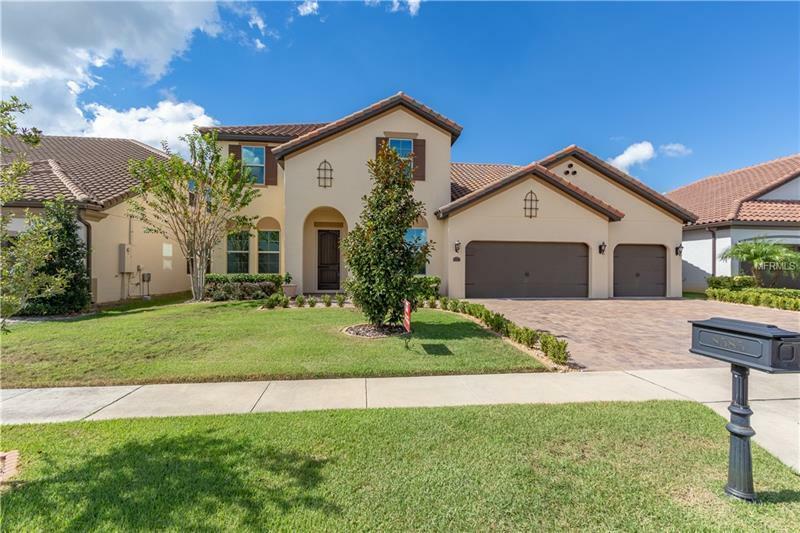 This 5 bedroom 4 -1/2 bath home features 2 master bedrooms, over-sized flex and dining rooms and a large open kitchen overlooking a spacious family room and lanai. the unique drop zone between garage and kitchen prevents clutter and provides organization for the whole family. Functional laundry room offers a walk through to master closet! Under-cabinet LED accent lights and six cameras add to the feeling of security and ambience. The lanai and spacious solar-heated screened pool makes this home a joy for enjoying the outdoors. Location is the key: in Dr. Phillips and within easy access to the attractions and the Orlando International Airport. The community features a magnificent clubhouse and recreation facilities. Prepare to be impressed!